Originally Submitted to FurAffinity.net on Oct 17th, 2013 02:17 PM. 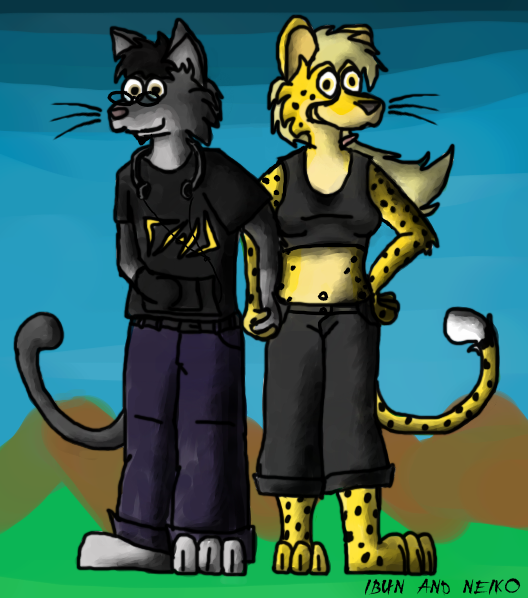 Before it was transferred to Inkbunny it had 61 views and 4 favorites. First picture of Ibun with someone else in it. In this caise, Neiko who is considerably smaller than she usually is. (Macrofurs man, they cray.) There was a brief time when the two characters were dating; but eventually we decided it was kind of silly. Still friends with the player though, awesome guy with an awesome taste in music.